Commanded by Captain Jean-Luc Picard, the U.S.S. Enterprise NCC-1701-D warped into audiences' hearts in the first episode of Star Trek: The Next Generation. 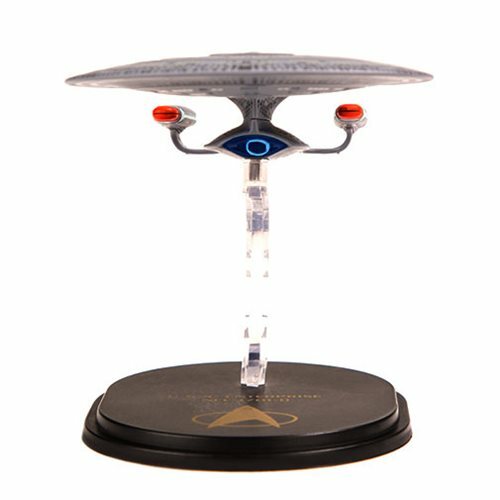 This 24th century, Galaxy-class starship was the flagship of the United Federation of Planets and is now apart of Quantum Mechanix's Mini Master line! 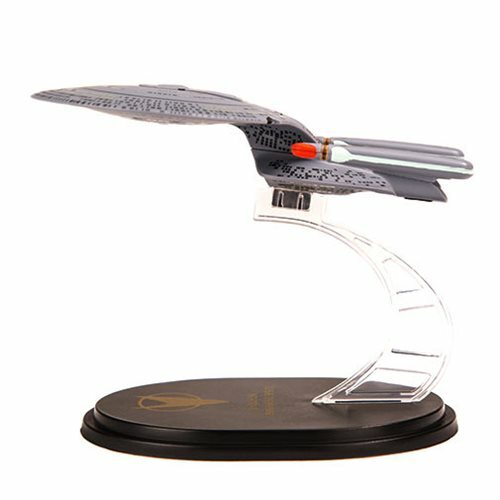 Measuring approximately 4 1/2-inches long, this hand-painted, authentic reproduction of the beloved starship comes with a magnetic stand for displaying the ship in mid-flight. 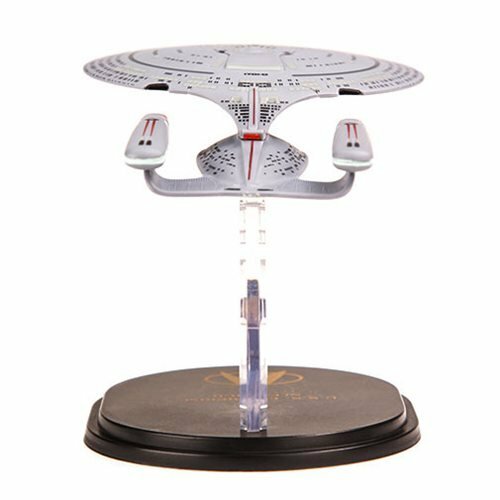 The Star Trek: The Next Generation U.S.S. 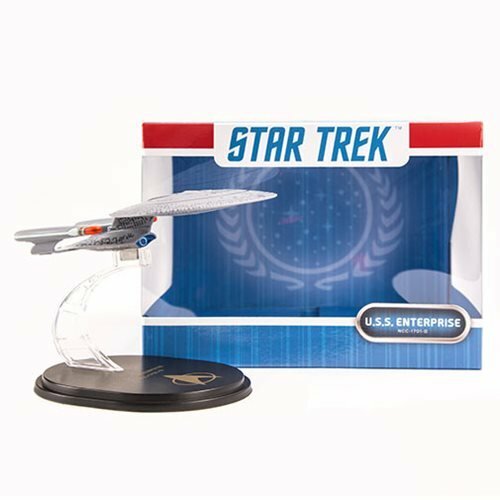 Enterprise NCC-1701 D Mini Master Statue comes packaged in a full color window box.